. Manley, P., Sagan, V., Fritschi, F.B., Burken, J.G. (2019). Remote sensing of explosives-induced stress in plants: Hyperspectral imaging analysis for remote detection of threats to human health. (under review). ​. Maimaitijiang, M., Sagan, V., Sidike, P., Hartling, S., Esposito, F., Fritschi, F. (2019). Unmanned Aerial System (UAS)-based crop yield prediction using multi-sensor data fusion and deep neural network. (under review).
. Han, L., Yin, Z., and Sagan, V. (2019). Denoising hyperspectral images. (under review).
. Peterson, K.T., Sagan, V., John Sloan. (2019). Deep learning-based water quality estimation and anomaly detection using Landsat-8/Sentinel-2 virtual constellation and cloud computing. Remote Sensing of Environment. (major revision submitted).
. Qin, Q., Zhang, T., Zhang, Y., Zhang, C., Zhang, Z., Wu, Z., He, L., Xu, W., Sagan, V., Shen, X., Yao, Y., Du, S., Ren, H., Sun, Y., Zhao, C., Long, Z. (2019. Remote sensing for monitoring agricultural drought: A review. (under review).
. Sagan, V., Maimaitijiang, M., Sidike, P., Maimaitiyiming, M., Erkbol, H., Hartling, S., Peterson, K.T., Peterson, J., Burken, J., ​Fritschi, F. (2019). UAV/Satellite multiscale data fusion for crop monitoring and early stress detection. The International Archives of the Photogrammetry, Remote Sensing and Spatial Information Sciences. (in press).
. Sidike, P., Sagan, V., Maimaitijiang, M., Maimaitiyiming, M., Shakoor, N., Burken, J., Mockler, T., Fritschi, F. (2019). dPEN: deep Progressively Expanded Network for mapping of heterogeneous agricultural landscape using WorldView-3 imagery. Remote Sensing of Environment, 221: 756-772.
. Maimaitijiang, M., Sagan, V., Sidike, P., Maimaitiyiming, M., Hartling, S., Peterson, K.T., Maw, M., Shakoor, N., Mockler, Todd, Fritschi, F. (2019). 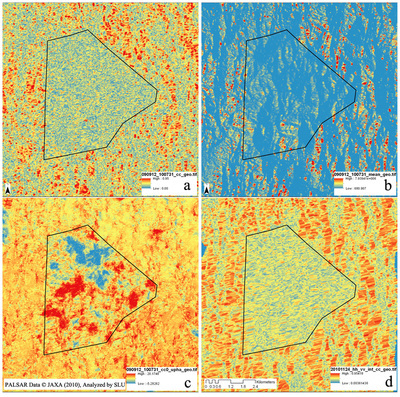 Vegetation Index Weighted Canopy Volume Model (CVMVI) for soybean biomass estimation from Unmanned Aerial System-based RGB Imagery. ISPRS Journal of Photogrammetry and Remote Sensing, 151:27-41.
. Peterson, K.T., Sagan, V., Sidike, P., Hasenmueller, E., Sloan, J., Knouft, J. (2019). 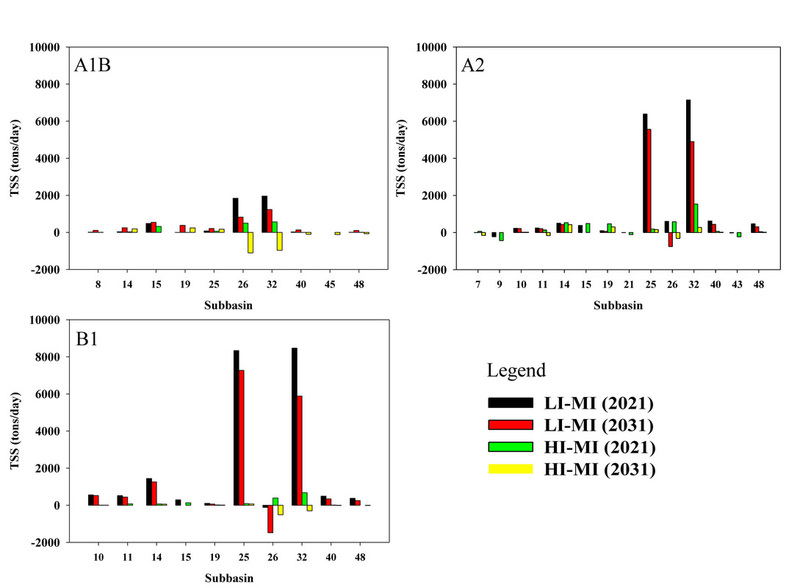 Machine learning based ensemble prediction of water quality variables with proximal remote sensing using feature-level and decision-level fusion. Photogrammetric Engineering and Remote Sensing, 85(4): 269–280.
. Hartling, H., Sagan, V., Sidike, P., Maimaitijiang, M., Carron, J. (2019). Urban tree species classification using a WorldView-2/3 and LiDAR data fusion approach and deep learning. Sensors, 19(6), 1284; doi: 10.3390/s19061284. ​. Sagan, V., Pasken, R., Zarauz, J., Krotkov, N. (2018). Monitoring SO2 trajectories in a complex terrain environment using CALIPUFF, OMI and MODIS data. International Journal of Applied Earth Observation and Geoinformation, 69: 99-109.
. Sidike, P., Asari, V., Sagan, V. (2018). Progressively Expanded Neural Network (PEN Net) for hyperspectral image classification: a new neural network paradigm for remote sensing image analysis. ISPRS Journal of Photogrammetry and Remote Sensing, 146: 161-181.
. Albalooshi, F., Sidike, P., Sagan, V., Albastaki Y., and Asari, V. (2018). Deep Belief Active Contours (DBAC) with Its Application to Oil Spill Segmentation from Remotely Sensed Aerial Imagery. Photogrammetric Engineering and Remote Sensing, 84(7): 451-458.
. Sidike, P., Sagan, V., Qumsiyeh, M., Maimaitijiang, M., Essa, A., and Asari, V. (2018). Adaptive Trigonometric Transformation Function with Image Contrast and Color Enhancement: Application to Unmanned Aerial System Imagery. IEEE Geoscience and Remote Sensing Letters, 15(3): 404-408.
. Loesch, E. & Sagan, V. (2018). 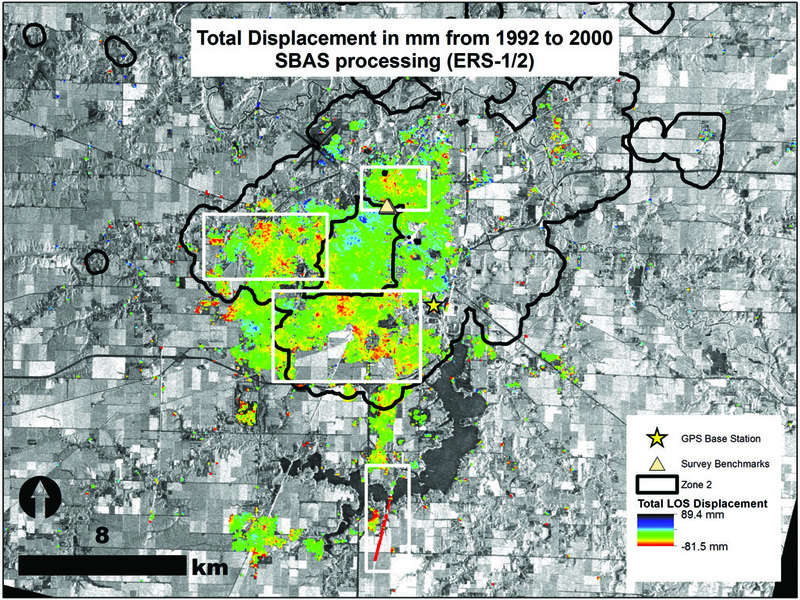 SBAS Analysis of Induced Ground Surface Deformation from Wastewater Injection in East Central Oklahoma, USA. Remote Sens., 10(2), 283; doi:10.3390/rs10020283.
. Nurmemet, I., Sagan, V., Ding, J-L., Halik, Ü., Abliz, A., Yakup, Z. (2018). A WFS-SVM model for Soil Salinity Mapping in Keriya Oasis, NW China using polarimetric decomposition and fully PolSAR data. Remote Sens., 10(4), 598; doi:10.3390/rs10040598.
. Sidike, P., Mohammad, A., and Sagan, V. (2018). Robust pattern recognition via joint transform correlation. In Advances in Pattern Recognition, pp. 81-99. New York: Nova Science Publishers.
. Shavers, E., Ghulam, A., Encarnacion, J. (2018). Surface alteration of a melilitite-clan carbonatite and the potential for remote detection among sedimentary carbonates, Southeast Missouri, USA. Ore Geology Reviews, 92: 19-28.
. Pereira, L., Andes, L., Cox, A., Ghulam, A. (2018). 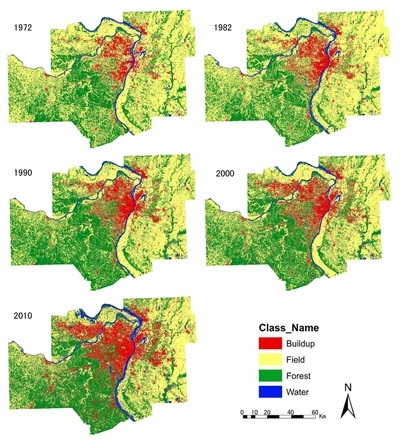 Measuring suspended-sediment concentration and turbidity in the Middle Mississippi and Lower Missouri Rivers using Landsat data. Journal of the American Water Resources Association (JAWRA), 54(2): 440-450.
. Sidike, P., Sagan, V., and Asari, V.K.. (2018). A multi-component based volumetric directional pattern for texture feature extraction from hyperspectral imagery. SPIE Defense + Security: Pattern Recognition and Tracking XXIX , Orlando, Florida, United States, 15 - 19 April 2018.
. Burnette, M., Willis, C., Kooper, R., Maloney, J.D., Ward, R., Shakoor, N., Newcomb, M., Rohde, G. S., Fahlgren, N., Sagan, S., Sidike, P., Terstriep, J. A., LeBauer, D. (2018). TERRA-REF Data Processing Infrastructure. Practice and Experience in Advanced Research Computing (PEARC), July 22-26, 2018.
. Maimaitijiang, M., Ghulam, A., Sidike, P., Hartling, S., Maimaitiyiming, M., Peterson, K., Shavers, E., Peterson, J., Kadam, S., Burken, J., ​Fritschi, F. (2017). Unmanned aerial system-based phenotyping of soybean using multi-sensor data fusion and extreme learning machine. ISPRS Journal of Photogrammetry and Remote Sensing, 134:43-58.
. Sidike, P., Ghulam, A., Asari, V.K., and Alam, M.S. (2017). Efficient hyperspectral target detection using class-associative spectral fringe-adjusted JTC with dimensionality reduction techniques, Asian Journal of Physics, 26(3&4): 171:180.
. Maimaitiyiming, M., Ghulam, A., Bozzolo, A., Wilkins, J., Kwasniewski, M. (2017). Early detection of plant physiological responses to different levels of water stress using reflectance spectroscopy. Remote Sens., 9(7), 745; doi:10.3390/rs9070745.
. Shavers, E., Ghulam, A., Encarnacion, J., Hartling, S. (2017). Emplacement of Ultramafic-carbonatite Intrusions Along Reactivated North American Mid-continent Rift Structures. Tectonophysics, 712–713: 716–722.
. Rao, M., Silber-Coats, Z., Lawrence Fox, L., Ghulam, A. (2017). Mapping Drought-Impacted Vegetation Stress in California Using Remote Sensing. GIScience and Remote Sensing, 54(2): 185-201.
. Wang, X., Zhang, F., Kung, H., Ghulam, A., Trumbo, A., Yang, J., Ren, Y., Jing, Y. (2017). Evaluation and estimation of surface water quality in an arid region based on EEM-PARAFAC and 3D fluorescence spectral index: A case study of the Ebinur Lake Watershed, China. Catena, 155: 62-74.
. Ghulam, A., Grzovic, M., Maimaitijiang, M., Sawut, M. (2016). 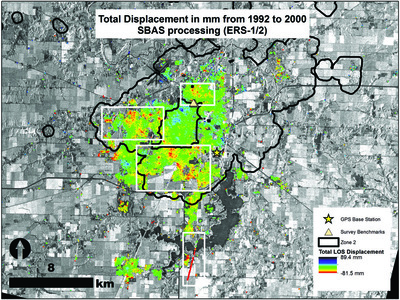 InSAR monitoring of land subsidence for sustainable urban planning. In Weng, Q. (Eds. ), Remote Sensing for Sustainability. CRC Press.
. Huang, J., Khan, S., Ghulam, A., Crupa, W., Abir, I., Khan, A., Kakar, D., Kasi, A., Kakar, N. (2016). Surface Deformation in Quetta Valley, Balochistan, Pakistan. Remote Sensing , 8(11), 956; doi:10.3390/rs8110956.
. Zoogman, P., Liu, X., Suleiman, R.M., Pennington, W.F., Flittner, D.E., Al-Saadi, J.A., Hilton, B.B., Nicks, D.K., Newchurch, M.J., Carr, J.L., Janz, S.J., Andraschko, M.R., Baker, B.B., Canova, B.P., Chan Miller, C., Cohen, R.C., Davis, J.E., Dussault, M.E., Edwards, D.P., Fishman, Ghulam, A., J., Gonzalez Abad, G., Grutter de la Mora, M., Herman, J.R., Houck, J., Jacob, D.J., Joiner, J., Kerridge, B.J., Kim, J., Krotkov, N.A., Martin, R.V., McElroy, C.T., McLinden, C., Natraj, C., Neil, D.O., Nowlan, C.R., O’Sullivan, E.J., Palmer, P.I., Pippin, M.R., Saiz-Lopez, A., Spurr, R.J.D., Szykman, J.J., Torres, O.O., Veefkind, J.P., Veihelmann, B., Wang, H., Wang, J., Chance, K. (2016). Tropospheric Emissions: Monitoring of Pollution (TEMPO). Journal of Quantitative Spectroscopy & Radiative Transfer, 186: 17-39.
. Shavers, E., Ghulam, A., Encarnacion, J., Bridges, D. L., Luetkemeyer, P.B. (2016). Carbonatite associated with ultramafic diatremes in the Avon Volcanic District, Missouri, USA: Field, petrographic, and geochemical constraints. Lithos, 248-251: 506–516.
. Maimatiyiming, M., Miller, A., Ghulam, A. (2016). Discriminating spectral signatures among and within two closely related grapevine species. Photogrammetric Engineering and Remote Sensing, 82(2): 15-26.
. Abliz, A., Tiyip, T., Ghulam, A., Ding, J-L, Halik, Ü., Sawut, M., Fei, Z., Nurmemet, I., and Abliz, A. (2016). Effects of shallow groundwater table and salinity on soil salt dynamics in the Keriya Oasis, Northwestern China. Environmental Earth Sciences. 75(3): 260.
. Ghulam, A., Ghulam, O., Maimaitijiang, M., Freeman, K., Porton, I., Maimaitiyiming, M. (2015). Remote sensing based spatial statistics to document tropical rainforest transition pathways. Remote Sensing, 7(5): 6257-6279.
. Ghulam, A., Fishman, J., Maimaitiyiming, M., Wilkins, J.-L., Maimaitijiang, M., Welsh, J., Bira, B., Grzovic, M. (2015). Characterizing crop responses to background ozone in open air agricultural field by using reflectance spectroscopy. IEEE Geoscience and Remote Sensing Letters, 12(6): 1307-1311.
. Grzovic, M., Ghulam, A. (2015). Monitoring residual land subsidence due to underground coal mining using TimeSAR (SBAS and PSI) in Springfield, Illinois, USA. Natural Hazards, 79(3): 1739-1751.
. Maimaitijiang, M., Ghulam, A., Sandoval, J. S. O., Maimaitiyiming, M. (2015). 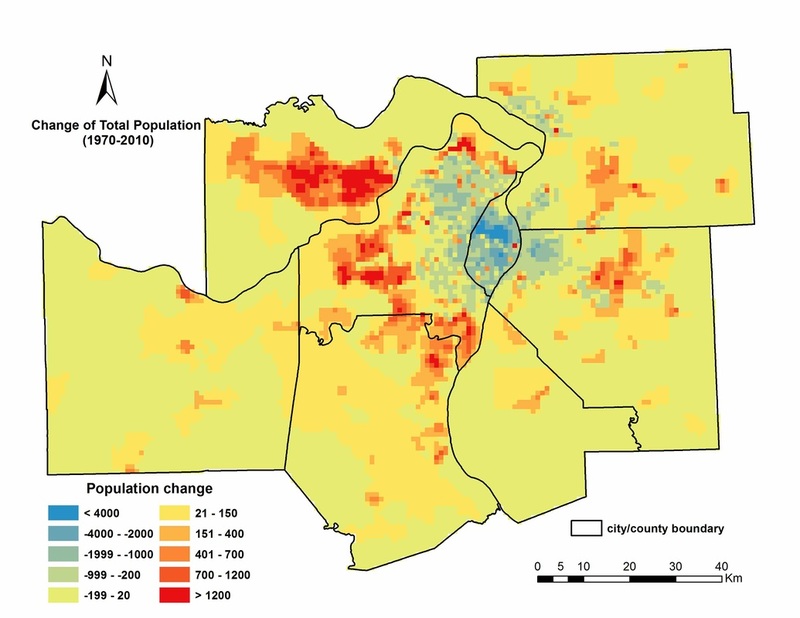 Drivers of land cover and land use changes in St. Louis Metropolitan area over the past 40 years characterized by remote sensing and census population data. International Journal of Applied Earth Observation and Geoinformation, 35: 161-174.
. Zeng, T., Ghulam, A., Yang, W-N, Grzovic, M., Maimaitiyiming, M. (2015). Estimating the volume and spatial extent of loose deposits, and its contribution to potential geological hazards over Wenchuan Earthquake zone, China. IEEE Journal of Selected Topics in Applied Earth Observations and Remote Sensing, 8(2): 750-762.
. Nurmemet, I., Ghulam, A., Tiyip, T., et al. (2015). Monitoring Soil Salinization in Keriya River Basin, Northwestern China Using Passive reflective and Active Microwave Remote Sensing Data. Remote Sensing, 7(7): 8803-8829.
. Abir, I., Khan, S., Ghulam, A., Tariq, S., Shah, M. (2015). Active tectonics of western Potwar Plateau-Salt Range, Northern Pakistan from InSAR observations and seismic imaging. Remote Sensing of Environment, 168: 265–275.
. Chen, C., Qin, Q., Chen, L., Zheng, H., Fa, W., Ghulam, A., and Zhang, C. (2015). Photometric correction and reflectance calculation for lunar images from the Chang’E-1 CCD stereo camera. Journal of the Optical Society of America A, 32(12): 2409-2422.
. Ghulam, A. (2014). 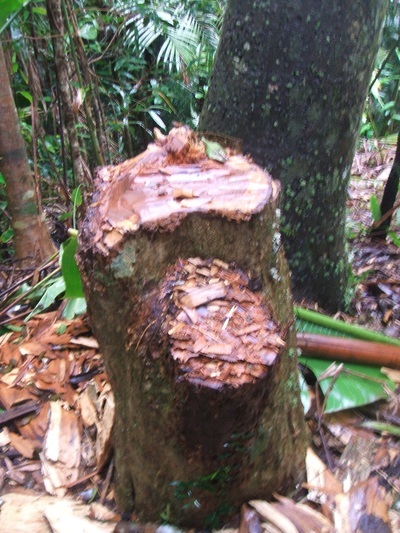 Monitoring tropical forest degradation in Betampona Nature Reserve, Madagascar using multi-source remote sensing data fusion. IEEE Journal of Selected Topics in Applied Earth Observations and Remote Sensing, 7(12): 4960-4971.
. Ghulam, A., Porton, I., Freeman, K. (2014). Detecting subcanopy invasive plant species in tropical rainforest by integrating optical and microwave (InSAR/PolInSAR) remote sensing data, and a decision tree algorithm. ISPRS Journal of Photogrammetry and Remote Sensing, 88: 174-192.
. Sawut, M., Ghulam, A., Teyip, T., Zhang, Y-J., Ding, J-L., Zhang, F. (2014). Estimating soil sand content using thermal infrared spectra in arid lands. International Journal of Applied Earth Observation and Geoinformation, 33: 203-210.
. Maimatiyiming, M., Ghulam, A., Tiyip, T., Pla, F., Latorre-Carmona, P., Sawut, M., Halik, Ü., Caetano, M. (2014). 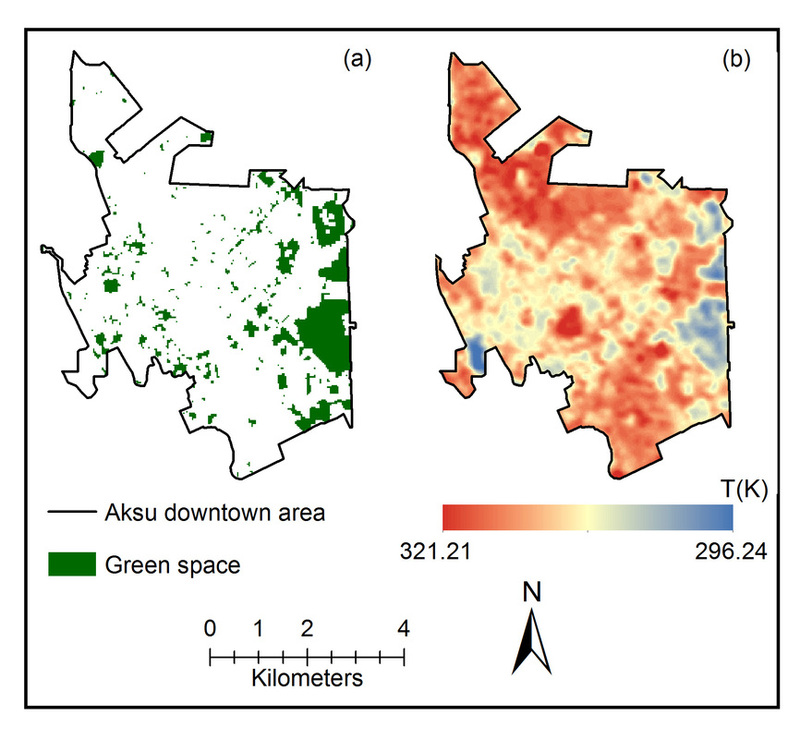 Effects of spatial pattern of green space on land surface temperature: implications for sustainable urban planning and climate change adaptation. ISPRS Journal of Photogrammetry and Remote Sensing, 89: 59-66.
. Jordan, Y. C., Ghulam, A., Chu, M. L. (2014). Assessing the impacts of future urban developing patterns and climate changes on surface water quality using geoinformatics. Journal of Environmental Informatics, 24 (2): 65-79.
. Jordan, Y. C., Ghulam, A., Hartling, S. (2014). Traits of surface water pollution under climate and land use changes: A remote sensing and hydrological modeling approach. Earth-Science Reviews, 128: 181-195.
. Shahabfar, A., Ghulam, A., Conrad, C. (2014). Understanding hydrological repartitioning and shifts in drought regimes in Central and South-West Asia using MODIS derived perpendicular drought index and TRMM data. IEEE Journal of Selected Topics in Applied Earth Observations and Remote Sensing, 7(3): 983-993.
. Chu, M. L., Ghulam, A., Knouft, J., Pan, Z. (2013). A hydrologic data screening procedure for exploring the trends and shifts in rainfall and runoff patterns. Journal of the American Water Resources Association (JAWRA), 50(4): 928-942.
. Chu, M. L., Knouft, J., Ghulam, A., Pan, Z. (2013). Impacts of urbanization on river flow variables: A controlled experimental modeling-based evaluation approach. Journal of Hydrology, 495: 1-12.
. Rajendran, S., Nasir, S., Kusky, T.M., Ghulam, A., Gabr, S., Gali, M. E. (2013). Detection of hydrothermal mineralized zones associated with Listwaenites rocks in the Central Oman using ASTER data. Ore Geology Reviews, 53, 470-488.
. Amer, R., Sultan, M., Ripperdan, R., Ghulam, A., Kusky, T. (2013). An integrated approach for groundwater potential zoning in shallow fracture zone aquifers. International Journal of Remote Sensing, 34(19): 6539-6561.
. Jordan, Y.C., Ghulam, A., Herrmann, R. (2012). Floodplain ecosystem response to climate variability and land-cover and land-use change in Lower Missouri River Basin. Landscape Ecology, 27: 843-857.
. Shahabfar, A., Ghulam, A., Eitzinger, J. (2012). Drought monitoring in Iran using the Perpendicular Drought Indices. International Journal of Applied Earth Observation and Geoinformation, 18, 119-127.
. Rajendran, S., al-Khirbash, S., Pracejus, B., Nasir, S., Al-Abri, A.H., Kusky, T.M., Ghulam, A. (2012). ASTER detection of chromite bearing mineralized zones in Semail Ophiolite Massifs of the northern Oman Mountains: Exploration strategy. Ore Geology Reviews, 44: 121-135.
. Ghulam, A., Kusky, T., Teyip, T. and Qin, Q. (2011). Subcanopy soil moisture modeling in n-dimensional spectral feature space. Photogrammetric Engineering and Remote Sensing, 77(2):149-156.
. Yao, Y., Qin, Q., Ghulam, A., Zhao, S., Liu, S. (2011). A simple method to determine the Priestley-Taylor parameter for evapotranspiration estimation using Albedo-VI triangular space from MODIS data. Journal of Applied Remote Sensing, 5, 053505 (Mar 11, 2011); doi:10.1117/1.3557817. ​. Ghulam, A., Freeman, K., Bollen, A., Ripperdan, R., Porton, I. (2011). Mapping invasive plant species in tropical rainforest using fully polarimetric RADARSAT-2 and PALSAR data. 2011 International Geoscience and Remote Sensing Symposium,July 24-29, 2011, Vancouver, Canada.
. Gabr, S., Ghulam, A., Kusky, T. (2010). Detecting areas of high-potential gold mineralization using ASTER data. Ore Geology Reviews, 38(1-2): 59-69.
. Kusky, T., Ghulam, A., Wang, L., et al. (2010). 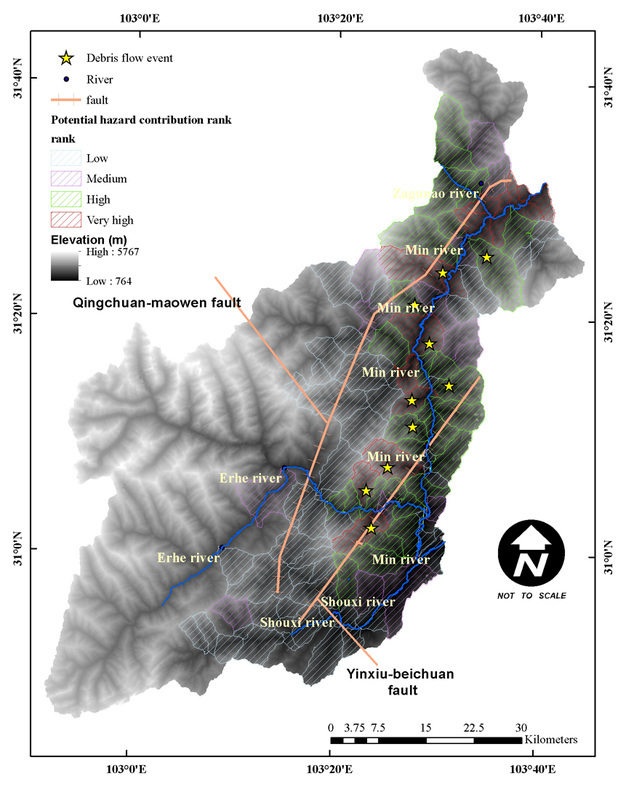 Focusing Seismic Energy Along faults through time-variable rapture modes: Wenchuan Earthquake, China. Journal of Earth Science, 21 (6): 910-922.
. Amer, R., Kusky, T., Ghulam, A. (2010). Lithological mapping in the Central Eastern Desert of Egypt using ASTER data. Journal of African Earth Sciences, 56(2-3): 75-82.
. Zarauz, J., Ghulam, A., Pasken, R. (2010). Sulfur dioxide estimations in the planetary boundary layer using ozone monitoring instrument. ASPRS/CaGIS 2010 Specialty Conference - Geospatial Data and Geovisualization: Environment, Security, and Society, November 15-19, 2010. Orlando, FL.
. Ghulam, A., Amer, R., Ripperdan, R. (2010). A filtering approach to improve deformation accuracy using large baseline, low coherence DInSAR phase images. Proceedings of the 2010 IEEE International Geoscience and Remote Sensing Symposium, July 25-30, 2010, Honolulu, Hawaii, pp. 3494-3497.
. Ghulam, A., Li, Z-L, Qin, Q., Yimit, H., Wang, J. (2008). 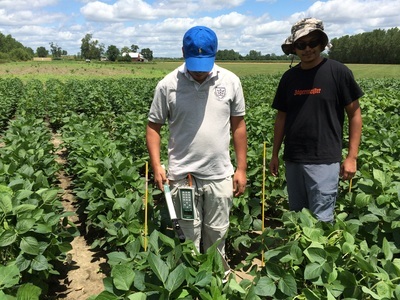 Estimating crop water stress with ETM+ NIR and SWIR data. Agricultural and Forest Meteorology, 148:1679-1695.
. Ghulam, A., Qin, Q., Kusky, T., Li, Z-L. (2008). Re-examination of perpendicular drought indices.International Journal of Remote Sensing. 29(20): 6037-6044.
. Qin, Q., Ghulam, A., Zhu, L., Wang, L., Li, J. and Nan, P. (2008). Evaluation of MODIS derived perpendicular drought index for estimation of surface dryness over northwestern China. International Journal of Remote Sensing, 29(7): 1983-1995.
. Qin, Q., Zhu, L., Ghulam, A., Li, Z. and Nan, P. (2008). Satellite monitoring of spatio-temporal dynamics of China's coastal zone eco-environments: preliminary analysis on the relationship between the environment, climate change and human behavior. Environmental Geology, 55: 1687-1698.
. Ghulam, A., Qin, Q., Teyip, T., Li, Z-L. (2007). Modified perpendicular drought index (MPDI): a real-time drought monitoring method. ISPRS Journal of Photogrammetry and Remote Sensing, 62: 150-164.
. Ghulam, A., Qin, Q., Zhan, Z. (2007). Designing of the perpendicular drought index. Environmental Geology, 52(6): 1045-1052.
. Ghulam, A., Li, Z-L, Qin, Q., Tong, Q. (2007). Exploration of the spectral space based on vegetation index and albedo for surface drought estimation. Journal of Applied Remote Sensing, Vol 1, 013529.
. Ghulam, A., Li, Z-L., Qin, Q., Tong, Q., Wang, J., Kasimu, A., and Lin, Z. (2007). A method for canopy water content estimation for highly vegetated surfaces-shortwave infrared perpendicular water stress index.Science in China series D: Earth Science, 50(9):1359-1368.
. Ghulam, A., Qin, Q., Zhu, L. and P. Abdrahman. (2004). Satellite remote sensing of groundwater: quantitative modelling and uncertainty reduction using 6S atmospheric simulations. International Journal of Remote Sensing, 25 (23):5509-5524.
. Ghulam, A., Qin, Q. (2007). Calculation of ETM + broadband albedos by radiative simulations. Acta Scientiarum Naturalium Universitatis Pekinensis, 43(4): 474-483. [on line:2006,1(4), (doi: pkuxbw2006063)]. (in Chinese with English abstract).
. Ghulam, A., Qin, Q., Zhu, L. (2004). 6S model based atmospheric correction of visible and near-infrared data and sensitivity analysis, Acta Scientiarum Naturalium Universitatis Pekinensis, 40 (4):611-618. (in Chinese with English abstract).
. Ghulam, A., Qin, Q. (2004). Overview on methods and theories of remote sensing monitoring and exploration of groundwater. Transactions of the Chinese Society of Agricultural Engineering (CSAE), 20(1):184-188. (in Chinese with English abstract).
. Tiyip, T. and Ghulam, A. (2002). Research on the model of groundwater level distribution in the oasis and desert ecotone using remote sensing. Chinese Journal of Remote Sensing, 6(4): 299-306. (in Chinese with English abstract).
. Li, Z., Qin, Q., Ghulam, A., Wang, L. (2004). Research on urban flood disaster insurance loss estimation using RS and GIS. Advances in Water Science, 15 (5):670-674. (in Chinese with English abstract).
. Ghulam, A., Amer, R., Kusky, T.M. (2010). Minerals exploration and mapping of gold-bearing alteration zones in the Eastern Desert of Egypt. Proceedings of 2010’ ASPRS Annual Conference - Opportunities for Emerging Geospatial Technology, April 26-30, 2010. San Diego, CA.
. Ghulam, A., Kusky, T.M., Kasimu, A., Tiyip, T., and Qin, Q. (2009). Subcanopy soil moisture modeling with the synergy of optical and thermal imagery. Proceedings of 2nd International Conference on Earth Observation for Global Change, 25-29 May, 2009, Chengdu, China.
. Kasimu, A., Ghulam, A., Tateishi, R. (2009). 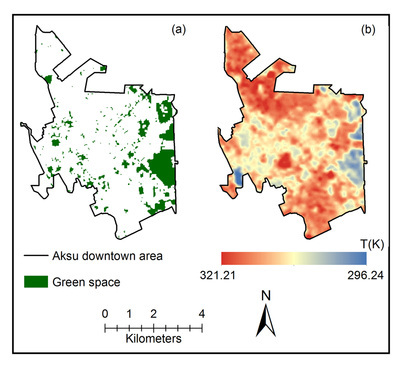 Quantifying urban land cover dynamics and its environmental impacts in China using GLCNMO urban and satellite imagery. Proceedings of 2nd International Conference on Earth Observation for Global Change, 25-29 May, 2009, Chengdu, China.
. Amer, R., Kusky, T., Ghulam, A. (2009). Image Processing and Analysis using ETM+ Imagery for Lithological Mapping at Fawakhir, Central Eastern Desert of Egypt. Proceedings of 2009 ASPRS American Society for Photogrammetry and Remote Sensing Annual Conference, March 9 - 13, 2009, Baltimore, Maryland, USA.
. Ghulam, A., Kusky,T.M., Qin, Q., Li, Z-L., Kasimu, A. (2008). Estimating wheat equalent water thickness using Landsat TM/ETM+ data. Proceedings of 2008 IEEE International Geoscience and Remote Sensing Symposium, July 6-11, 2008, Boston, Massachusetts, USA.
. Ghulam, A., Kasimu, A., Kusky, T. (2008). Normalization of modified perpendicular drought index using LTDR and GIMMS dataset for drought assessment in the United States. Proceedings of 2008 IEEE International Geoscience and Remote Sensing Symposium, July 6-11, 2008, Boston, Massachusetts, USA.
. Kasimu, A., Ghulam, A., Tateishi, R. (2008). 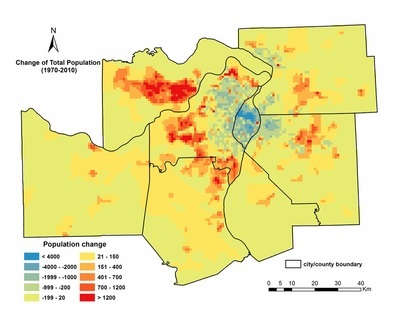 A global comparative analysis of urban spatio-temporal dynamics during the last four decades using coarse resolution remote sensing data and GIS. Proceedings of 2008 IEEE International Geoscience and Remote Sensing Symposium, July 6-11, 2008, Boston, Massachusetts, USA.
. Ghulam, A., Li, Z-L., Kusky, T., Qin, Q. Further validation of perpendicular drought index and modified perpendicular drought index with applications in regional moisture status estimation. Proceedings of The 7th International Workshop on Geographical Information Systems (IWGIS’07), September 12-14, 2007, Beijing, China.
. Jin, C., Qin, Q., Zhu, L., Nan, P., Ghulam, A. (2007). TVDI based Crop Yield Prediction Model for Stressed Surfaces. Proceedings of 2007 IEEE International Geoscience and Remote Sensing Symposium (IGARSS'07), July 23-27, 2007, Barcelona, Spain.
. Qin, Q., Ghulam, A., Zhan, Z., Li, Z. (2005). Monitoring of Chinese coastal zone eco-environments based on bio-physical parameters. Proceedings of 2005 IEEE International Geoscience and Remote Sensing Symposium (IGARSS), July 25-29, 2005, COEX, Seoul, Korea.
. Ghulam, A., Qin, Q., Li, Z. Albedo variation and its effects on surface biophysical and climate factors, Proceedings of the 9th International Symposium on Physical Measurements and Signatures in Remote Sensing (ISPMSRS), Oct. 17-19, 2005, International Conference Center, Beijing, China.
. Ghulam, A., Qin, Q., Wang, L., Zhan, Z., and Wang, D. (2004). Development of broadband albedo based ecological safety monitoring index. Proceedings of 2004 IEEE International Geoscience and Remote Sensing Symposium (IGARSS), September 20-24, 2004, Anchorage, Alaska, Egan Convention Center, USA, VI:4115-4118.
. Zhan, Z., Qin, Q., Wang, X., Ghulam, A. (2004). Study on ecological indices from NDVI using NOAA/AVHRR data in Western Loess Plateau of China. Proceedings of2004 IEEE International Geoscience and Remote Sensing Symposium (IGARSS), VI: 3650-3653.
. Lin, W., Qin, Q., Wang, D., Ghulam, A.. (2004). Decision support system of flood disaster for property insurance: theory and practice. Proceedings of 2004 IEEE International Geoscience and Remote Sensing Symposium (IGARSS), VII: 4693-4695.
. Li, Z., Qin, Q., Zhan, Z., Ghulam, A.. (2005). Analysis of spatio-temporal variation of NDVI in Chinese Coastal Zone during recent 20 years. Proceedings of 2005 IEEE International Geoscience and Remote Sensing Symposium (IGARSS), July 25-29, 2005, COEX, Seoul, Korea.
. Ghulam, A., Qin, Q. (2003). 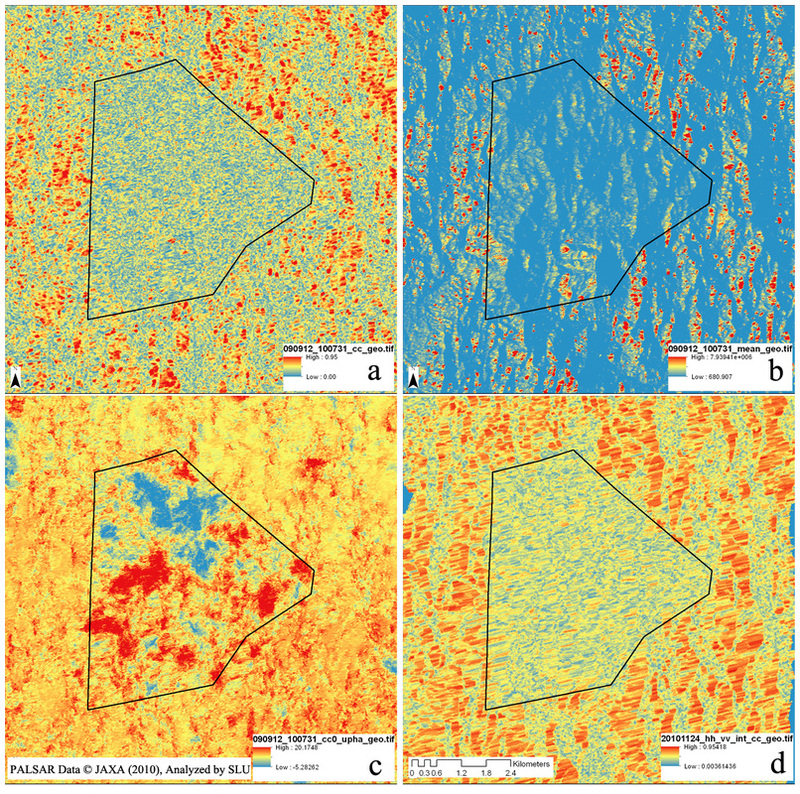 Satellite remote sensing of groundwater: modeling, algorithm development and validation. Proceedings of the 24 th Asian Conference on Remote Sensing and 2003 International Symposium on Remote Sensing, November 3 - 7, 2003, BEXCO Busan, Korea, 1, pp:348-350.
. Multi-Antenna Synthetic Aperture Radar, Wen-Qin Wang, CRC Press (2014). Photogrammetric Engineering & Remote Sensing, 2015, 81(9): 691-694.
. Aerosol Science: Technology and Applications, Edited by Ian Colbeck and Mihalis Lazaridis, Wiley Press (2014). Photogrammetric Engineering & Remote Sensing, 2015, 81 (3), pp. 191-192.
. Manual of Geospatial Science and Technology (2nd edition), Edited by John Bossler, CRC Press (2011). Photogrammetric Engineering & Remote Sensing, 77 (4), pp. 313.